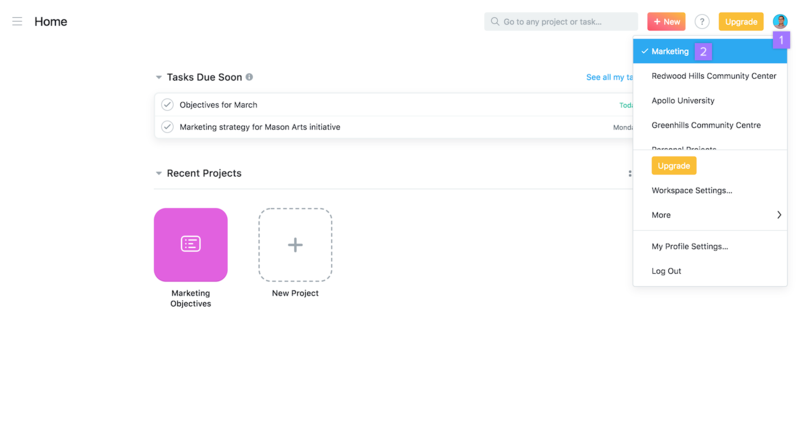 Create a Workspace to collaborate with other people in Asana. 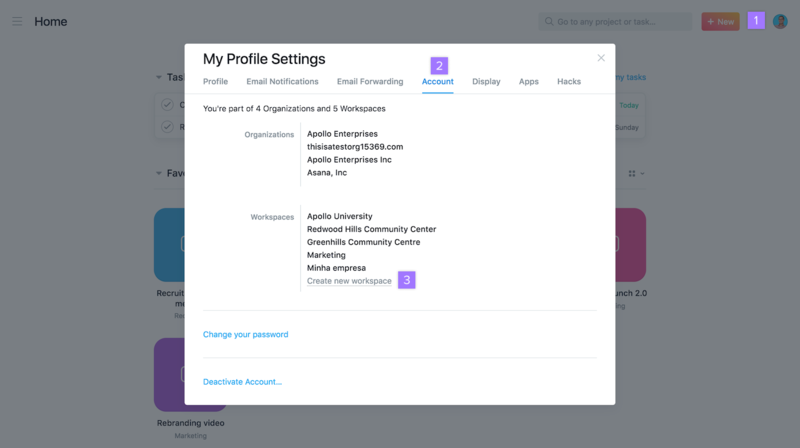 A single Asana account can join or create multiple Workspaces. 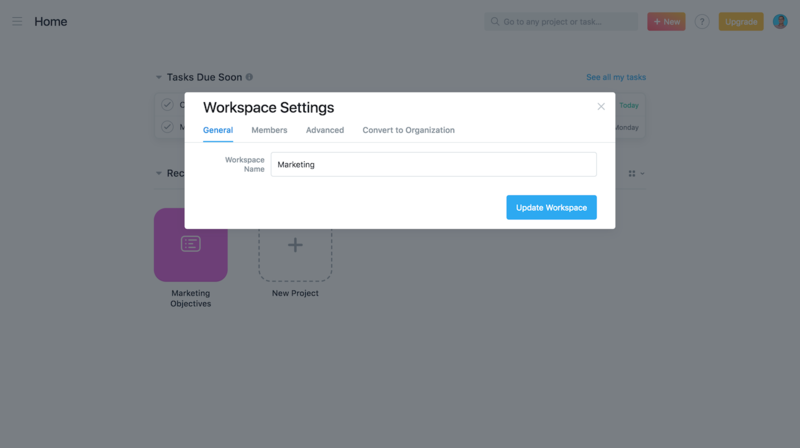 Create Workspaces for different groups of people you want to collaborate with. If you need to create multiple teams or work across different departments, you can convert one of your existing Workspaces into an Organization. Learn about the differences between Workspaces and Organizations here. 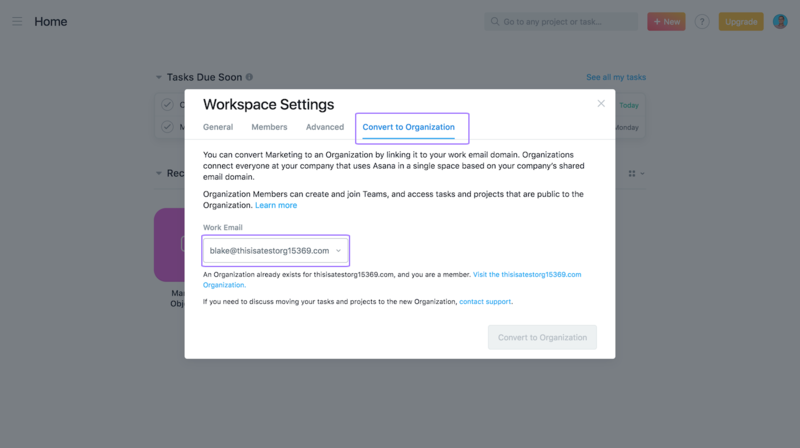 You must first add your company email address to your Asana account before you can convert a Workspace into an Organization. 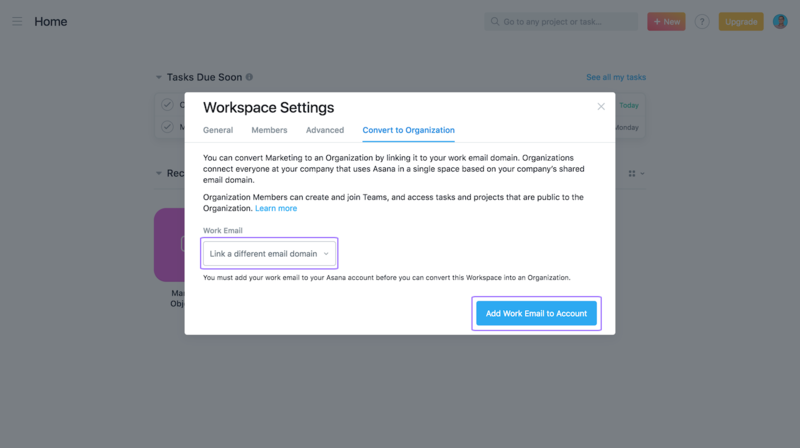 You can also add a new work email address to your Asana account to convert your Workspace using a different email domain. If you’re in a Premium Workspace, only the Billing Owner will be able to convert it to an Organization. After you write in with the pertinent information, we will convert your largest Workspace into a teamteam A team is a group of people in an Organization who are working together on a collection of projects. Read more within new Organization. If you have a shared university email domain (i.e. college.edu), a separate subdomain (i.e. staff.college.edu) will be required to create an Organization. 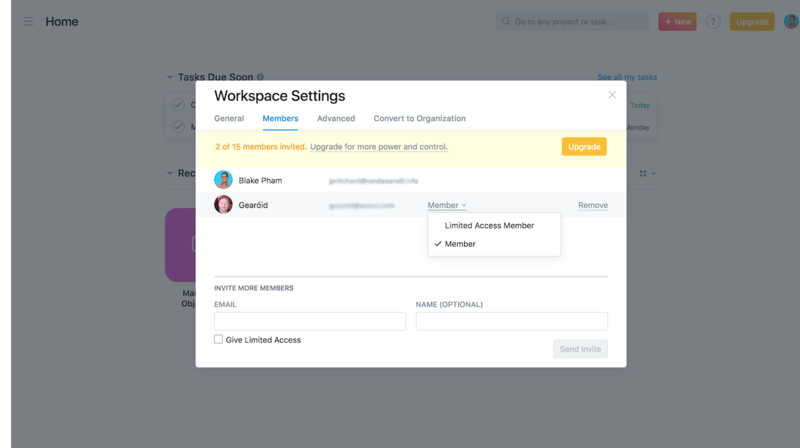 Only Workspace Members can access a Workspace’s Settings, Limited Access Members cannot. From your Workspace’s Settings, you will see 3 tabs: General, Members, and Advanced. Change the name of your Workspace. 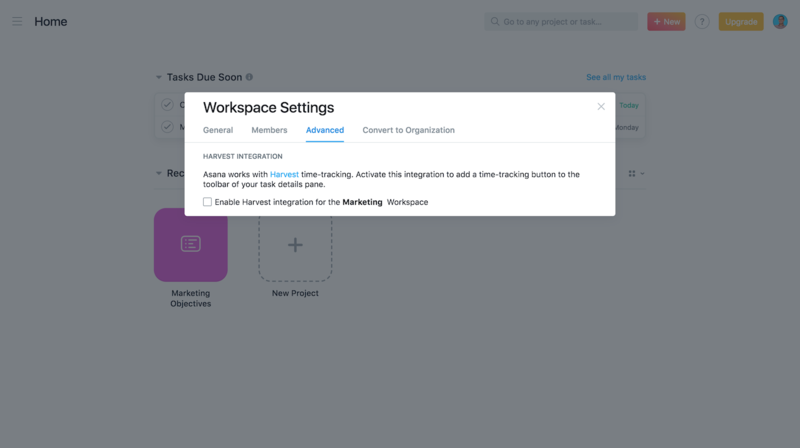 Enable/disable the Harvest integration for your Workspace. Since Workspaces are shared spaces, leaving a Workspace does not delete the projects and tasks in it. Once everything has been deleted and you’re the only remaining Member, you can leave the Workspace yourself. A Workspace can only be accessed by those invited. If all Members have been removed, the Workspace will no longer be accessible. It is not possible to archive Workspaces.